For a state-owned venue, making a major investment in new equipment can involve a long consultation process. 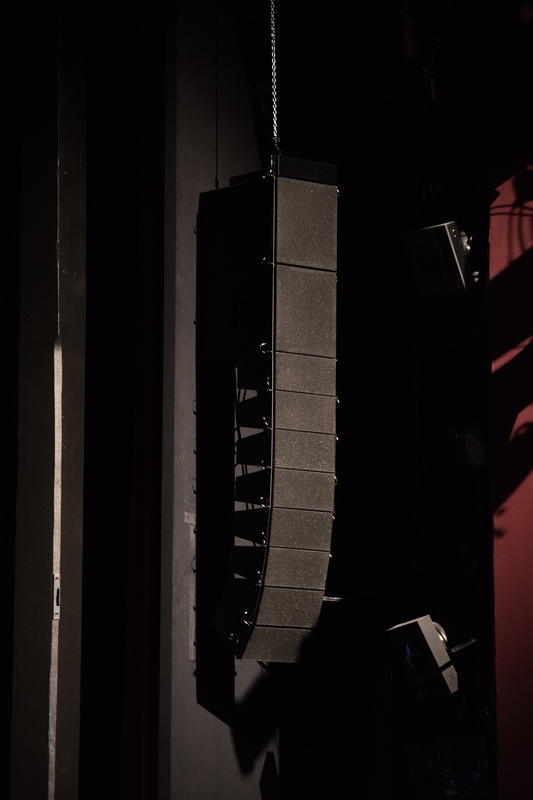 But at a theatre in the southern Swedish city of Borås, this proved well worth the wait, with an Alcons LR7 pro-ribbon system transforming the sound of its productions. Founded in 1964, Borås Stadsteater is a state-owned production house which moved to its current home in 1975. A typical 1970s-style provincial venue, the 500-capacity main auditorium features raked seating and a balcony. By 2016 the ageing PA system had become too small and outdated to meet the demands of modern audiences, so the management team worked with the local authority to find a solution. They contacted leading systems integrator Electrosound, who visited the venue and suggested the Alcons LR7 system. I was absolutely blown away by the sound quality and the clarity and precision of the panning and stereo width. The perceived sound-to-size ratio is absolutely staggering.”, Tobias Walka sound manager Borås Stadsteater . The Alcons system includes two main hangs of eight LR7/90 and two LR7B each, four ground-stacked BF181 Mk2 single 18” subs and a centre cluster of six LR7/120. Four SR9 (double 5” LF + RBN401) were installed for frontfills, plus three VR8 (8” LF + RBN401) compact monitors for balcony delays and four more SR9 for under-balcony coverage. In addition, 14 CCS8 (8” coax) were installed for surround sound, with the whole system controlled by Sentinel3 and Sentinel10 amplified loudspeaker controllers. The surround loudspeakers are mainly used for theatre special effects, but the system can be used for showing movies, if required. 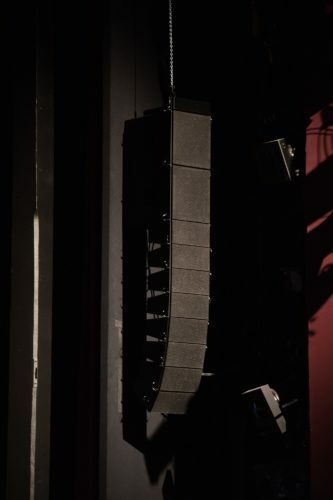 The versatile LR7 system is ideal for medium-sized venues, featuring the RBN401 pro-ribbon HF driver and a 6.5” LF driver in a micro-sized design. This delivers exceptional intelligibility, SPL and seamless coverage, but ensures minimal impact on sightlines and is very easy to handle. Thanks to the pro-ribbon’s all-natural cylindrical (Isophasic) wavefront and a ‘Morpher’ lens, LR7 delivers 120° dispersion, up to 94% frontal radiation and maximum gain-before-feedback – up to directly under the array. “Acoustically it is a good room, but the quality of the Alcons loudspeakers has really improved the sound of events,” says Brollan. “Thanks to the pro-ribbon technology, everything just sounds fantastic. Mixing with the system is a walk in the park – the EQ can be used to make ‘musical’ adjustments, instead of using it to correct problems caused by the loudspeakers. “The sound quality I experienced with the small LR7 system became all the more prominent when installed in a more controlled environment, while the larger scale of the system gave it a lot more muscle,” adds Tobias. “It’s beefy, very clear and in your face. The perceived sound-to-size ratio is absolutely staggering. More info on www.borasstadsteater.se and www.electrosound.se .